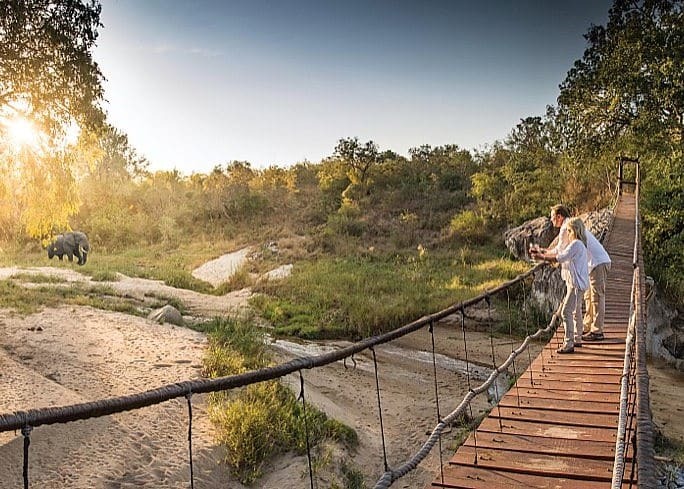 Dulini River Lodge occupies an outstanding position nestled in a thicket of ancient ebony trees on the banks of the perennial Sand river, befitting the indulgent grandeur of the lodge. Recent refurbishment has introduced panoramic windows to new 150 sq m suites. 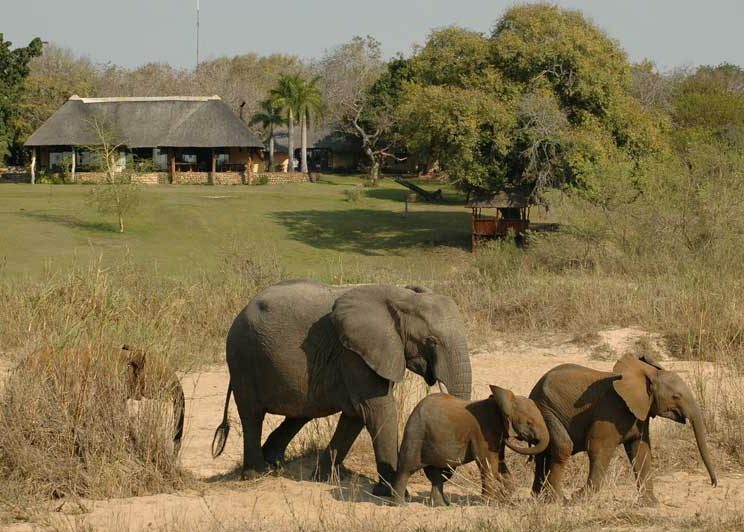 Characteristic megafauna (elephants and buffalo) are frequently viewed from the lodge’s viewing decks and from your suite. 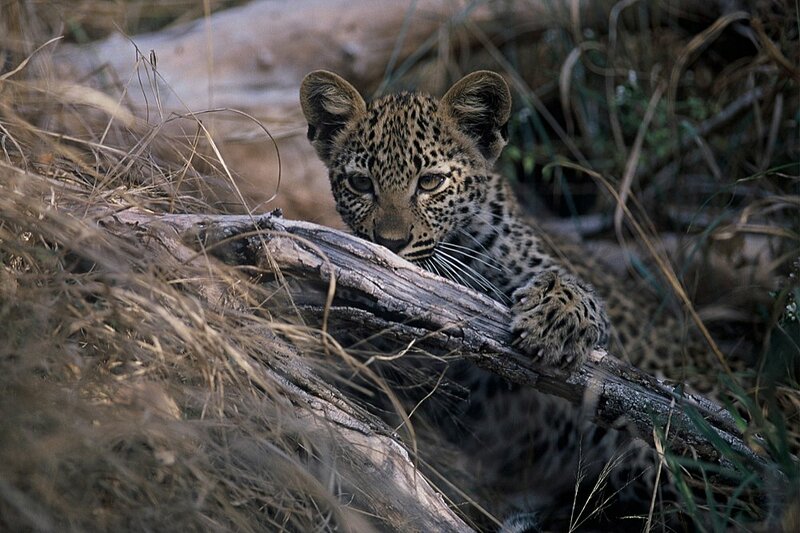 The lodge’s situation on the margin of the river has potential for leopard sightings. 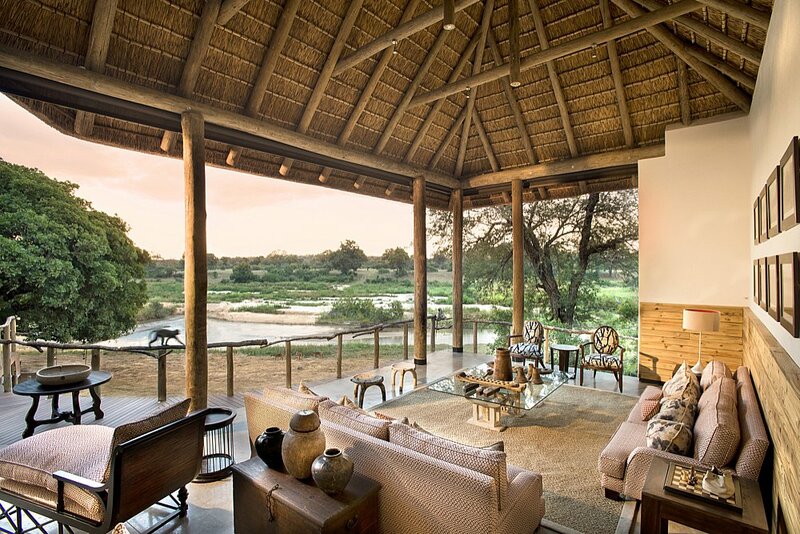 Dulini extends over both sides of the Sand river, a privilege of only 3 western sector lodges (and the ultra exclusives). 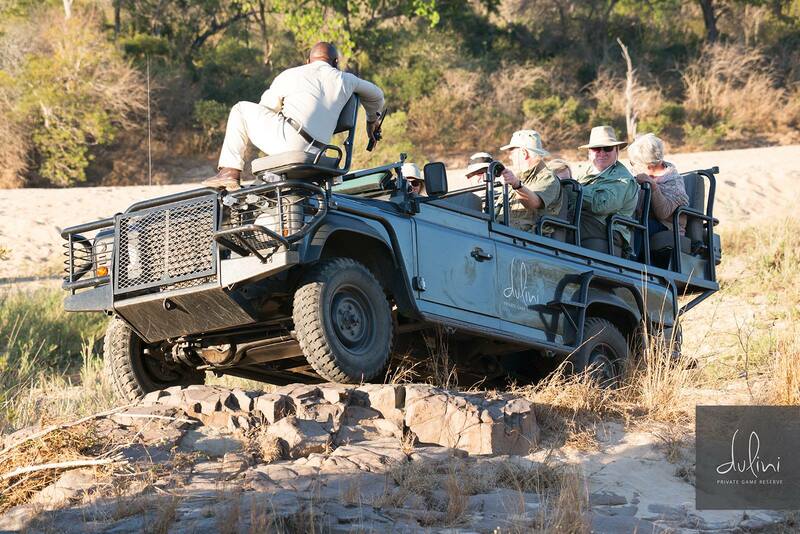 Game viewing vehicles are limited to six seats for an exclusive experience. 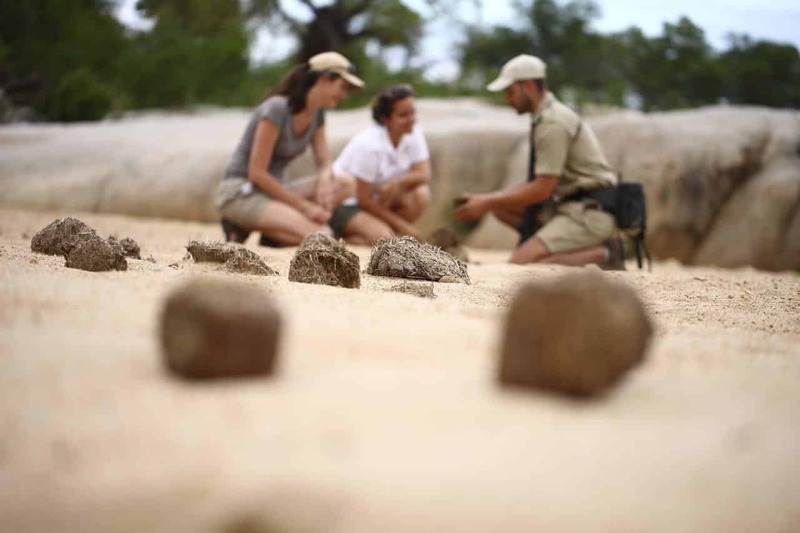 Traversing is over 10,000 hectares, and guides can follow elusive animals into ravines and through thickets to provide vivid and exhilarating wildlife encounters. 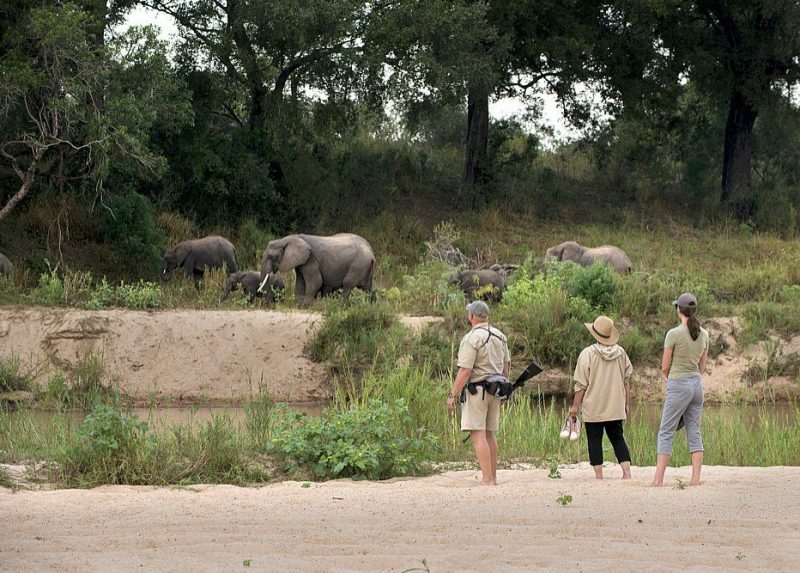 Your armed guide and astute Shangaan trackers offer walks, following spoor to safely approach game including Big Five. 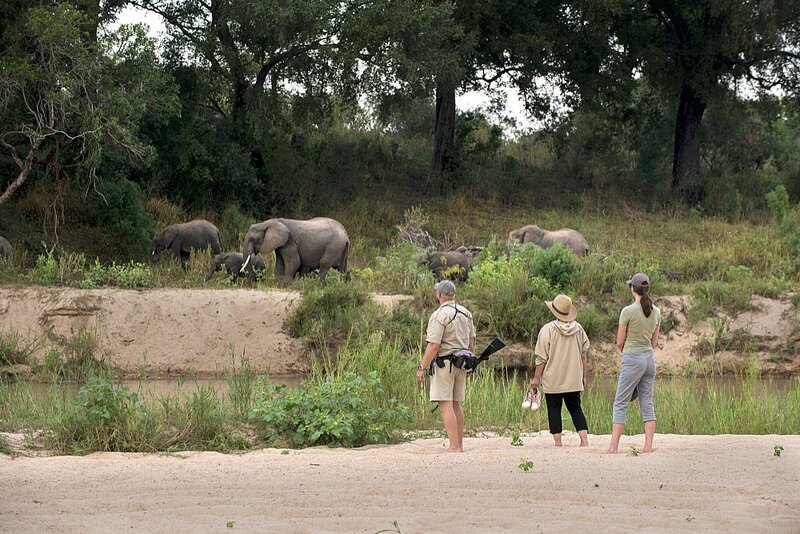 Walking offers excellent immersion in the bush with an opportunity to focus on the smaller things. 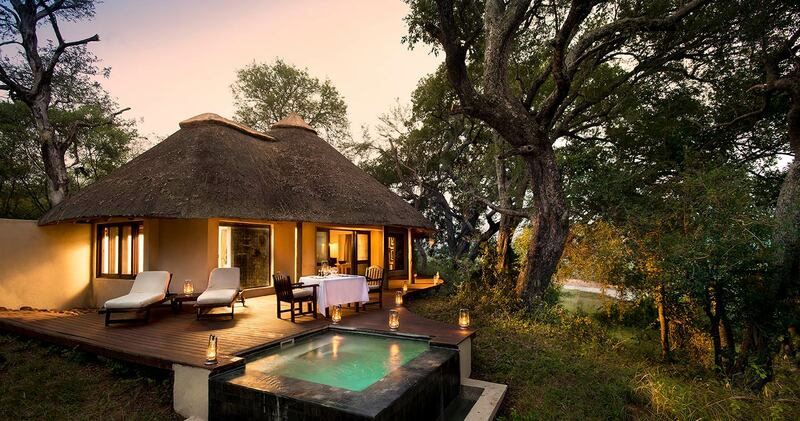 Eight luxurious thatched suites are spaced out along the river bank. The refurbished 150 sq m suites enjoy panoramic glass walled views, which continue to the private deck’s loungers and plunge pool. 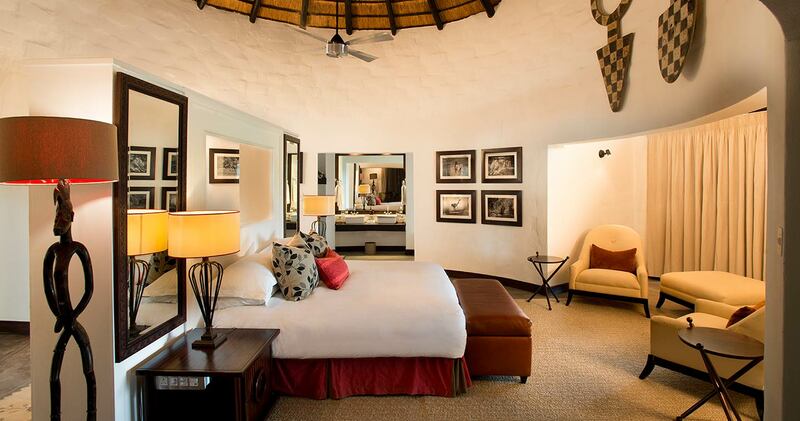 Elegant interiors use earthy colours and are finished luxuriously with a dash of African flair. Bathrooms are en-suite with deep bath tubs and open to outdoor showers. 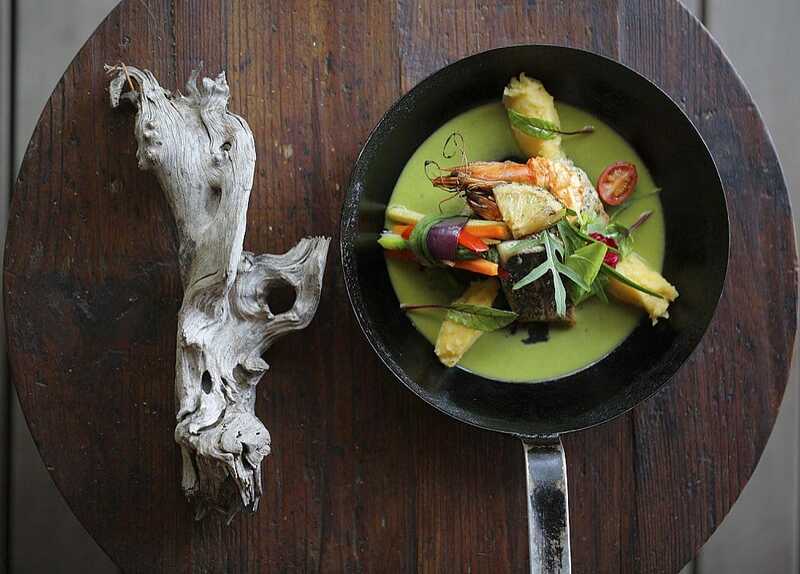 All creature comforts are here. 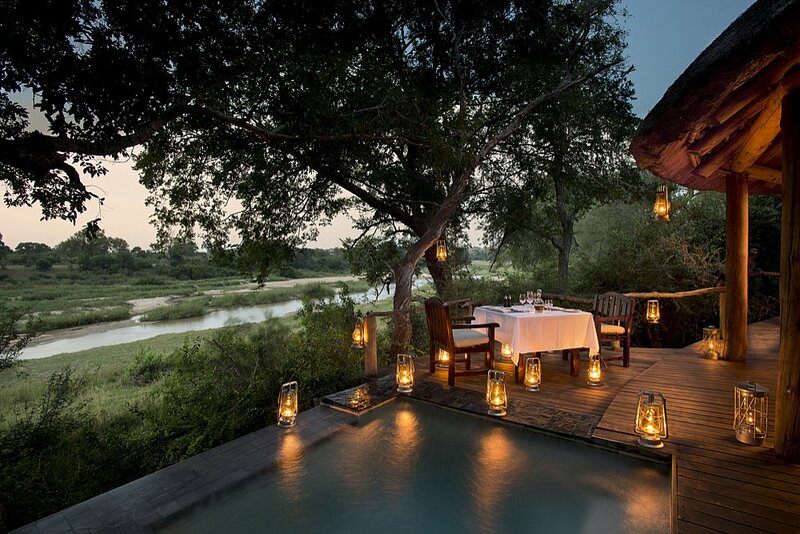 An open-sided central area leads onto a large viewing deck which is used for dinner under a large sausage tree, as is an elegant boma under the stars. Recent additions include a lap length swimming pool. 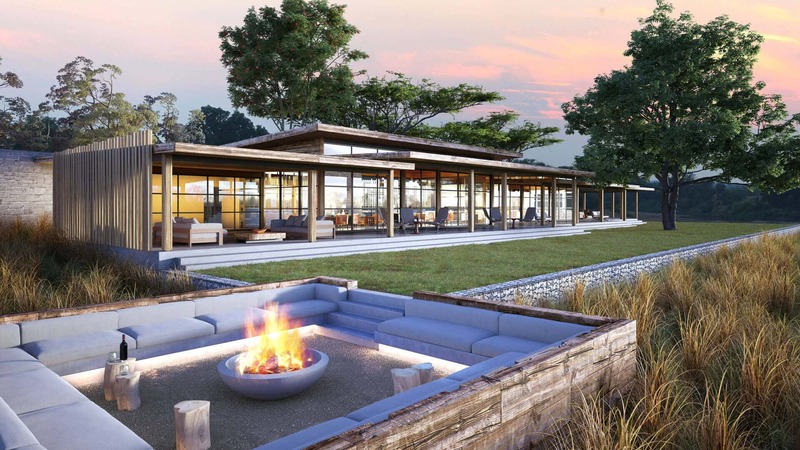 Food and wine are outstanding, as befits one of the most luxurious lodges in Sabi Sand. A wine cellar has been added in the 2018 refurbishment.